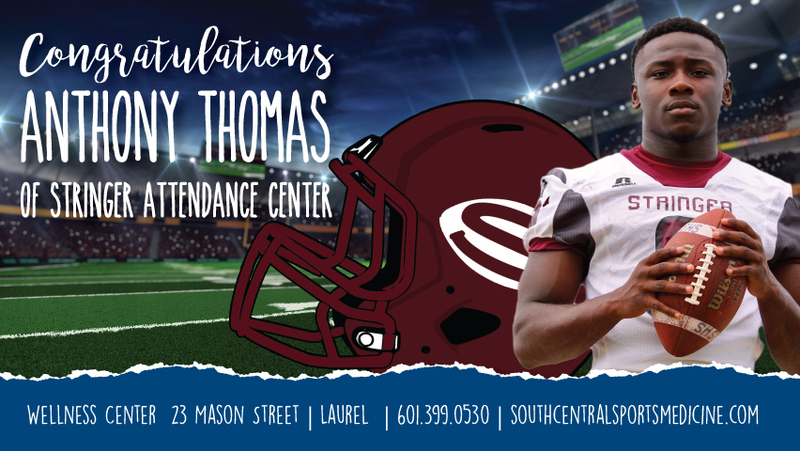 Anthony Thomas, Senior at Stringer High School, was selected as a South Central Sports Medicine Scholar Athlete. Anthony plays football and basketball at Stringer. Anthony’s future plans are to continue playing football while pursuing the dream of becoming a vet. For the 2018-19 school year, Anthony’s goal is to win the state championship. When Anthony look for inspiration, he looks to Tevin Moor and Zach Alridge because they have always pushed him to get better. The advice Anthony would give to younger athletes is to always work hard on and off the field and never give up on your team.